What’s the difference between the minor / major / specialist degrees? What are the enrolment requirements for making Indigenous Studies my program? What are the degree requirements that I must fulfill in order to graduate? Is there a way to assess my progress in completing my degree requirements? Can I take courses from a different university to be used towards my degree requirements? Can I re-take a course that I passed if I am not happy with my grade? What opportunities are there to apply my learning beyond the classroom? Will I need to go through an ethical review process for research I am undertaking? If so, how do I find out more information about this process? What Indigenous languages are taught in the Indigenous Studies program? If I am fluent in one of them, can I get a course credit for my existing knowledge? What is a Language Citation Designation? What should I do if I am unable to write an exam due to illness, etc? Where can I go for help with my essays and written assignments? Where can I get help selecting courses, choosing my program or planning the completion of my degree? How do I find out about Centre for Indigenous Studies special events, workshops and gatherings? What services and support are available for my accessibility need? What is Volunteer Note-taking Services? The Minor designation compliments another area of study that the student is majoring or specializing in, while the Major and Specialist designations are the main focus of the student’s study. To receive an Honours Bachelor of Arts (BA) or Honours Bachelor of Science (BSc), you will be required to complete a specialist and a minor, two majors, or a major and two minors. What are the enrollment requirements for making Aboriginal Studies my Program? All undergraduate students in the Faculty of Arts and Science can access the Degree Explorer. 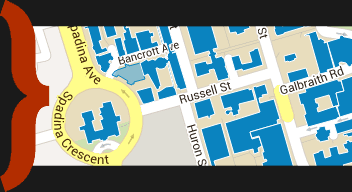 Degree Explorer is the University of Toronto’s degree planning tool. You can review your academic history, degree requirements, or use the planner to determine how future course choices might meet your requirements. Degree students with a cumulative grade point average of at least 1.50 may take a maximum of 5.0 full-course equivalents elsewhere for transfer credit. Prior to taking courses at another Canadian or U.S. university, students are advised to request a Letter of Permission to confirm acceptability of those courses for transfer credit. Assessments of transfer credit may take several weeks to process depending on the time of year and the nature of the request. Applicants are responsible for submitting requests well in advance of any deadlines they must meet and for obtaining the appropriate counselling concerning the Letter of Permission and/or Transfer Credit process. Before taking a course outside the University of Toronto, make sure to check out the eligibility and procedures for transferring credits. You cannot re-take a course if you have previously passed it. If you fail a course you may re-take it. Bear in mind that if you re-take a previously failed course, the failed grade is not removed or averaged. Both the failed grade and the new grade are calculated into your GPA. Some Indigenous Studies courses include Community Engaged Learning as part of the course work. In addition, Indigenous Studies offers independent study courses that allow students to go beyond the material offered in ABS courses by directing their own research. Students wishing to conduct research involving human subjects are required to complete an Ethics Protocol Form. Refer to the University of Toronto’s Research Ethics Board Website for more information. What Aboriginal languages are taught in the ABS program? If I am fluent in one of them, can I get a course credit for my existing knowledge? Languages taught as a part of the Indigenous Studies program include: Anishinaabemowin (Anishinaabe), Inuktitut, and courses in Iroquoian languages. Fluency does NOT entitle you to a course credit in these language courses. To receive a credit for an Indigenous Studies language course you must enrol in the course and obtain a passing grade. Indigenous Studies participates in the Faculty of Arts & Science Language Citation Initiative for Anishinaabemowin. The language citation in the Faculty of Arts & Science is official recognition on a student’s transcript that the student has progressed to an advanced level in the study of a language, and has been assessed as achieving “good” results in that study. To achieve the language citation, a student must complete two full courses or their equivalent beyond the first-year level of language instruction, and must achieve at least a B- in each of the courses beyond the introductory level. The two full-course equivalents may be language instruction or may be those taught in the language to be assessed. This will appear in the Arts & Science sessional segment of the student’s academic record on the transcript describing the courses and marks for the session in which the Citation is assessed as complete. If you are ill or have a significant emergency that prevents you from attending a Final Exam, you may file a petition with your college registrar to request permission to defer writing the Final Exam. Note: if you have a minor emergency that delays your arrival at an exam that is still in progress, you should go immediately to the examination hall and follow the instructions of the Presiding Officer. An immediate remedy may be possible that avoids petitions and delay. For term tests, you must speak with your instructor; for final exams, you deal with your college registrar’s office only. Note: a department or instructor cannot excuse you from writing a Final Exam, nor can they offer you an alternate date or form of exam, e.g., oral exam. All Final Exam remedies must come through petition. Each college at U of T has a Writing Centre that provides individual consultations with trained writing instructors, along with group teaching in workshops and courses. Where can I get help selecting courses, choosing my program of study, or planning the completion of my degree? All students can work with academic advisors who are part of the registrar’s office of their specific Arts and Science college. To find out how you can connect with an academic advisor, contact your college’s registrar’s office. How do I find out about Indigenous Studies special events, workshops and gatherings? Visit the News & Events section of our website! In addition, you can sign up for the ABS listserv by emailing Jennifer Murrin at aboriginal.studies@utoronto.ca. Please visit the Accessibility Services for information about the various services and support available to students. Volunteer Note-Taking Services provides students who have difficulty with concentration, writing, accessing verbal information, or who experience chronic pain or other issues, by providing access to an online database of class notes. The Note-taking Service relies on fellow students in your classes to upload copies of their class notes to a secure website.